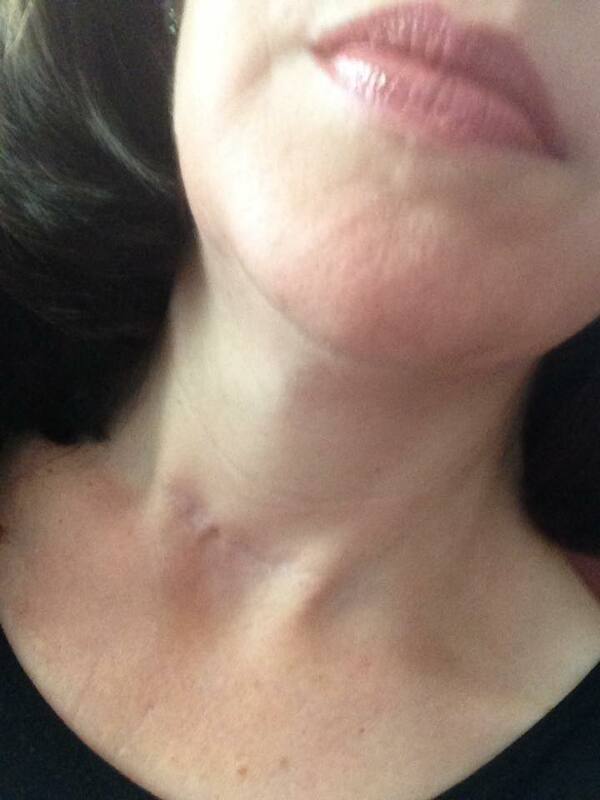 I have strikes against me - Hashimotos, vein disease, then had a total thyroidectomy... I need a pill a day to keep me alive. I will never beat anyone in a race, never run a marathon or even walk a 5k. WHAT do I do? I lift weights. Heavy weights, a few times a week. .... Now I have a year to work on being a better 45. No rising water here. We just had heavy rain for a few days and minor street flooding. Nothing like what Lafayette and Baton Rouge are experiencing. All of Denham Springs is underwater. It's bad y'all. Really bad. Unimaginably bad. 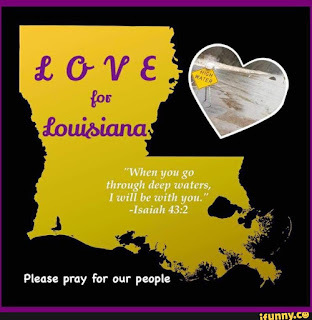 So many people are stranded either in their homes, attics, rooftops, and on the interstate. Surrounded by floodwater with no way out. No food, no water. Elderly, sick, children, and babies. I'm seeing post after post on FB of people needing help or rescue. People worried sick about their pets that had to be left behind. People asking about specific neighborhoods to find they are underwater. People who need medicine and can't get it... it goes on and on. No power. No running water. Spotty cell service. It looks like helicopters are gearing up to make supply drops to the people stranded along the interstate. You might think we are used to natural disasters with hurricanes and all.... but no one had any warning. We can prepare for a storm. We can stock up on food and water. We can evacuate if necessary. No one knew this was coming. The water came up fast and places that never flooded, did. Water up to the rooftops.... all you can do is grab an axe and retreat to the attic to chop a hole in your roof to get out. It brings back Katrina memories, but in some ways this is worse. Much worse. This has been the laziest summer yet. There has been no schedule, no camps to attend, and no reason to get up early at all. I won't lie - I've enjoyed sleeping in but it has made me rather lazy. The only part of my routine that I've kept is going to the gym, and that has only been twice a week at best. I've tried to be up at least by 8am most days. Veronica was up by noon. Valerie would have slept until 2pm if I'd let her. I have no clue how late they stayed up at night, but I spied Val's light still on at 4am on several occasions. Sleeping all day cut into a lot of our summer fun. If you don't get out of bed, you can't do much of anything. We made it to most of the nearby library activities because they were at 3pm or later. We saw several movies, went skating a few times, and spent a good bit of time in our pool. Other than that, we really did not do much at all..... and summer is over. Today, Monday, it's back to school! Yes, already.... Valerie is a sixth grader and Veronica is a fourth grader. This is our last year as a Bayou Blue Bantie as Veronica will move to the middle school next year (go Gators!) Uniforms were purchased weeks ago and school bags sat packed waiting by the door. Valerie had orientation last week to pick up her schedule and take her ID picture. Friday was Veronica's teacher meet and greet. Both girls were up very early and excitedly got ready. You'd think it was Christmas morning or something and not the first day of school!! Do you have thyroid problems?? I had my usual endocrinologist visit back in June. All my blood work numbers look good, and as my doctor says, any improvement is a step in the right direction. I don't feel as horrible as I did when my levels were way off. The dizziness isn't constant, but comes and goes. I could probably blame allergies or some other aliment instead of thyroid issues. I can't say I feel fabulous but I am okay most days. Diet and sleep seem to play a big part in whether I have a good day or an ok day. Carb overload makes me feel sluggish and blah. Lack of sleep just makes for a horrible day all around. The scar has faded considerably, although it appears red if I spend time out in the heat. It's got a few little 'stitch wrinkles' in it but there isn't much I can do about it. I don't get the stares I once did, so I can assume it isn't noticeable to the average person anymore. My Mom's scar was much longer, although hers was a tiny thin white line and nobody really knew it was there. 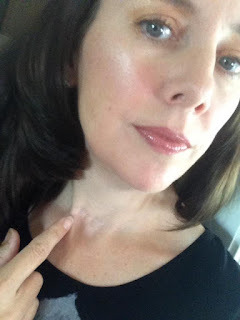 If you have been here a while, I'm sure you remember some of my posts about my thyroid issues. It wasn't fun going for a needle biopsy, waiting for the results, being told it's probably not cancer - but it could be, having surgery, and then the months of feeling awful that followed. I tried not to complain much, but I kept family and friends up to speed on my many doctor visits, tests, and meds change. I even posted scar progress pics on Facebook. I don't expect anyone to remember all the details, but you'd think when I mention I have thyroid problems it rings a bell. "Oh yeah, Mel had that thyroid thing." Apparently I was wrong because it seems that to some, it's like it never happened. It's quite the slap in the face to find that my whole year long struggle was forgotten. It was quite a surprise to be asked 'don't you have thyroid problems?" Um really. Where have you been??? It's not like this happened ages ago. It hasn't even been two years yet. "Problems" would be putting it lightly to say the least. Do you not remember seeing me in person with a red slash across my neck? It makes you wonder about people for sure. Like I said, I don't expect every detail to be remembered, but to totally blank on the whole ordeal is a bit insulting. I'm willing to bet that you, my blogging friends, remember more than some of my 'real life' friends. Thanks for always being here to "listen!"